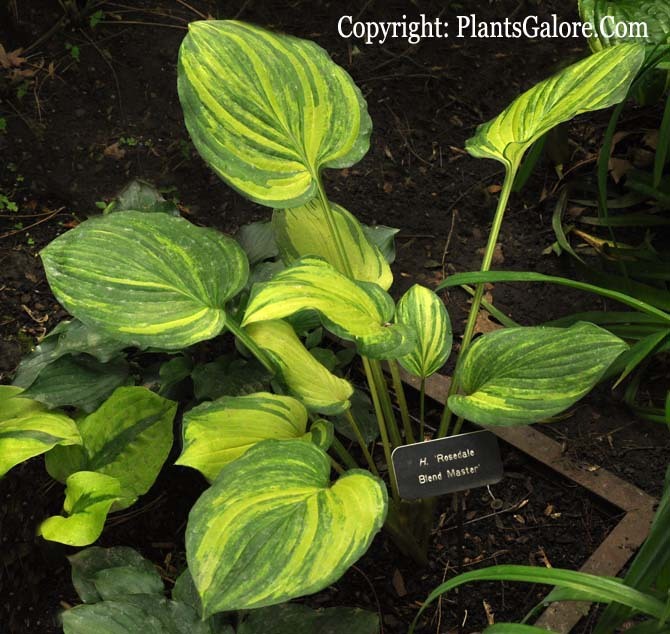 This hybrid of two unnamed seedlings was registered by Jerry Hadrava of Iowa in 2000 as part of his Rosedale Series. It forms a medium size mound about 16 inches high and 30 inches wide with ovate shaped, moderately corrugated foliage of good substance. Pale lavender flowers bloom in late summer.